From the Music Director: I am immensely grateful every single week for the youth and adults who volunteer to rehearse the music for Mass and lead the parish in sung prayer. However, it's always a great reminder to all of us, that though we may lead the music, we are not performing for an earthly audience. We hope that by our leadership we inspire you the parishioners to add your voices to the chorus of angels in praise to our God here in this community of Holy Family. Want to explore the Catechism of the Catholic Church regarding Liturgy? ADULT CHOIR REHEARSALS are on Wednesdays from 7:30 to 8:30 pm in the Music Office (September through June). Men and women of all ages and abilities are welcome to join in preparing to lead the singing at the Sunday 10:30 am Masses. We welcome high school young men and women and college aged and young professionals to offer your talents with our parish. CHILDREN'S CHOIR REHEARSALS are on Wednesdays from 4:00 to 4:45 pm in the Music Office (September through May). Children in grades 1-7 prepare to lead the singing at the Sunday 9:00 am Masses. Please join us! The PARISH INSTRUMENTAL ENSEMBLE continues to share their musical gifts at selected 11:00 am Masses on Sundays and 5:00 pm Masses on Saturdays. Parishioners are welcome to volunteer their talents and join this group! and 10:30AM Sunday Masses respectively. In addition to its ability to lead and sustain congregational singing, the sound of the pipe organ is most suited for solo playing of sacred music in the Liturgy at appropriate moments. 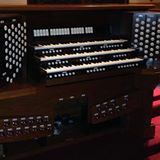 Pipe organs also play an important evangelical role in the Church’s outreach to the wider community in sacred concerts, music series, and other musical and cultural programs.